Typically, if you purchase a vehicle from a New Jersey dealer, it will be titled as part of the sales process. If you did not receive a title from a dealer, you must title your vehicle within ten days of purchase or face a penalty fee. When purchasing a new vehicle from an out of state dealer, verify the New Jersey titling process with the dealership. Titles may be acquired at a motor vehicle agency. The vehicle owner must appear in person. You must show the Manufacturer's Certificate of Origin (MCO) displaying the sales tax-satisfied stamp. You need to pay sales tax on the actual vehicle price. If you purchase a vehicle in New Jersey, you must pay sales tax and complete the sales tax section stamped on the title. 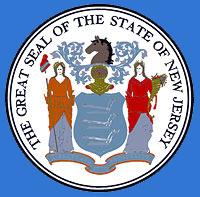 New Jersey dealers are required to collect sales tax for New Jersey esidents. Sales tax is not collected at the agency for New Jersey dealers. However, if you did not pay sales tax at the time of purchase, you will need to pay the sales tax based on the actual amount paid for the vehicle. Sales tax may be paid at a motor vehicle agency. Certain vehicles are exempt from sales tax. If the vehicle was purchased from an out-of-state dealer and the dealer is not authorized to collect New Jersey sales tax, sales tax will be due upon titling the vehicle. If the vehicle is financed, you must provide the address and Entity Identification Number(EIN – formerly Corpcode) of the lien holder. The original title will be sent to the lien holder. 2009 model year and later passenger vehicles or light duty trucks weighing less than 8,500 lbs. are required to meet California Low Emission Vehicle Program standards. New vehicles may be subject to New Jersey’s Luxury and Fuel Inefficient Surcharge (LFIS). If the vehicle qualifies for the Surcharge, you must calculate an additional 0.4% of the gross sales/lease price. For your convenience, the MVC accepts American Express® card, MasterCard® card, Visa® card, checks, money orders and cash. To lodge a formal complaint, contact the New Jersey Division of Consumer Affairs. The MVC must be notified separately for assistance obtaining a title. Note: Each case is unique and handled on an individual basis. Additional documents may be requested. If you have any questions, please call the MVC’s Customer Support Line at (609) 292-6500 ext.5064 prior to submitting your documents. You must also provide the former title with the assignment section on the back completed and signed by the previous owner. If you make a mistake on the title, check with the MVC to see if it is still acceptable. If you need to transfer vehicle ownership you may do so only at a motor vehicle agency - this type of transaction cannot be handled through the mail. To ensure the proper transfer of documents and to avoid penalties, please follow these guidelines. If you are a New Jersey resident and purchased your vehicle out of state, you will need to follow a special procedure.